Get your hands on two bikes worth over £700! Begin the New Year by heading out in to the fresh air to increase your fitness and have fun as a family. We’ve teamed up with leading British bicycle brand Mango Bikes to offer you the chance to win a pair of its impressive bikes worth over £700. The Ladies Classic, in a gorgeous raspberry shade, is stylish, comfortable and reliable. It has an elegant vintage design with a matching pannier rack and optional wicker basket, handy for storing your shopping bags or a tasty picnic. For men there’s the versatile Point R Road Bike in Arctic White – the newly designed high-speed performance road bike, which is ideal for commuting, racing or for anyone just starting out. All Mango bikes are hand-built, set up and checked, and come with a three-year warranty. There’s a great range to choose from for all levels of ability,so what are you waiting for? Hello, i would like to win the bike as love riding and exercising my legs. Pedal power for pensioners if we win these bikes. My 50 year old classic bike has gone to the dump, how I’d love this Mango. Love cycling, I have terrific arthritis so when riding it helps with the stiffness. Look like fantastic bikes. Oh wow! I used to ride a lime green bicycle to work because I couldn’t afford a pink one! I would love to win the two bikes so me and my husband, can start the new year biking and getting fit. I should love to win these 2 bikes for my son and his wife. So love the look of these bikes, have just joined slimming world so the exercise would be good. I’d love to win these as neither myself or my husband drive and walk everywhere. It would be great to cycle together and travel further afield. I would love to win this prize, my friend & I could get out & about on these great bikes when spring comes. I will keep my fingers crossed. Fantastic way of getting fit and excercising also in a small way helping to reduce the carbon emissions. never rode my own bicycle before .will be a real treat !! Would love to win this prize, we need to get fitter & this would be a great help. I can picture my husband and I on these bikes. What a fabulous New Year we would have here in Derbyshire riding these. I never had the luxury of having a bike when I was a child so would love to win these bikes. My husband and I are now retired and at last have time to be able to enjoy bike rides. A great prize for people to go somewhere at a relaxed pace . Brilliant prize. I would use mine to cycle to work. My current bike is getting very close to retirement. Perfect , just what we need to get ourselves moving. Never learned to ride a bike. At 67 never too late to start. We love all kinds of exercise and these will help enormously in continuing our health and fitness regime so they would be well used. This is a fab bike, we love getting out and about with our boys and cycling together is a great way of keeping fit and enjoying time together. Amazing prize! I haven’t got a bike, but would love one!!! wow would love to win these. Our bikes are a bit old now so new ones would be great. His and Hers bikes – what a fantastic way to enjoy the great outdoors! Just what I need to help with weight loss programme. This would be a wonderful prize to win. I would love this to get fit on. I’ve just moved near a forest so it would be perfect. Just what we need to accompany the kids on their bike rides! I regret getting rid of my mother’s classic bike. It was so easy to ride? Recently had our garage broken into and all our bikes stolen…..
Would be nice to have brand spanking new ones. We’d love these bikes for riding to our allotment, and the ladies one has a lovely basket to carry our veg in too! Perfect !! How awesome! The ladies bike is beautiful! This is just what we need to help us keep to the two new year’s resolutions we have already decided upon: to improve our fitness in 2016, and to only use the car when absolutely necessary… Fingers tightly crossed, thank you for an amazing prize, and Merry Christmas!! love to win a new bike for the summer. Fab prize,much needed after all the chocolate I am going to eat over Christmas! to be in the pink would be great! Aah..that one New year`s resolution sorted? What a wonderful way to get around and keep fit!! This would be a great prize for my better half & I to get out more together for exercise in the fresh air. I think other friends and family would also be good biking companions – Fingers crossed. getting fit and healthy here I come! Burn off the excess pounds after Christmas. Really need a bike, getting fit is my new year goal!! I’d love a bike to get to the shops in the next village. It’s hard work walking so far and I’m sure the exercise would be beneficial. My son would love the gents bike and both are amazing. Fingers crossed and hoping. would love to get back out on a bike,it kept me fit. Great prize for anyone to win!! Always looking for a way to keep fit – this would be ideal as we don’t own any bikes!! This would so suit me. My bike is very old and seen far better days. It is also a ‘mans’ bike and this is far more ladylike. Please please please….I need to keep up with my kids. I would love to win a bike. It would give me more incentive to get out and about. Great for myself & my son! I love to be pretty in pink..
A great way to get fit together! This would be the most perfect New Years present! What a great way to get work and the shops! Me and the old man whizzing down country lanes, perfick as Pa Larkin would say. Just in time for spring!! Good luck everybody, the winner will be tickled pink with these super bikes. Just what I need to help shed a few pounds in the new year. What a beautiful bike. Absolutely love the colouring. And the additional bike I would give to my father who is battling cancer, as a surprise present for when he comes out of hospital after his operation. Could be a great way for us both to keep active and stay fit in a fun way ! I would rather be on TWO wheels than on Shanks Pony ! My student son has just had his bike stolen, so I would love to win him one of these – and keep one for myself too! Fantastic for getting out and about in the countryside! Who wouldn’t want to win a gorgeous bike to cycle along the promenade with? This would be such an encouragement for me to get fit and improve my achy knees, it’s ideal the retro design is fabulous and my last bike went rust from riding it by the sea in Wales – so unfortunately I’ve rusted up a bit too ! I would love to cycling with my husband and nephew. Thank you. I love cycling along the undercliff by the sea. Just the incentive I need to get fit! My Wife would love this. Very Cool! I want to ride my bicycle… Want to ride my bike …. I want to ride my bicycle…..I want to ride it where I like!!! It could be a fit and healthy way to get to work. Ooh I would love to win this! Some of my resolutions for 2016 are to be environmentally friendly and to save more money – a bike would definitely help with those two! 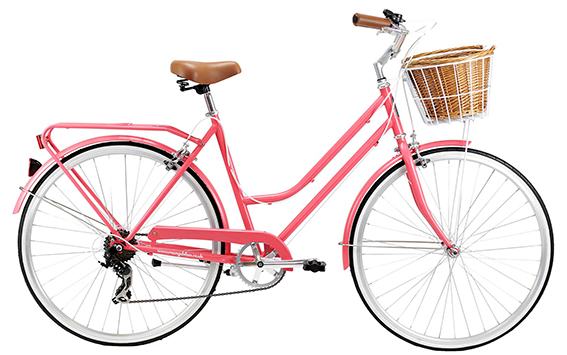 I live in a little village and could just see myself cycling down to the bakery and greengrocers on this lovely pink bike with my basket filled with goodies. Very cute! Lovely prize. I’m the only one in our family without a bike so this would be amazing. Husband needs the exercise !! Would love to take up cycling again. Fabulous prize! Anyone would be over the moon if they won those two quality bikes. All my family have bikes – I would love to join them on bike rides. fingers crossed ! This prize would encourage me to learn to ride a bike! Brilliant prize! Both hubby & I need to get fit! Lovely prize his and her bikes, perfect all that fresh air and ideal for keeping fit too. Would be a great replacement for my current bicycle, which has seen better days. I love Mango bikes! Super stylish…..it could get my wife to get out of the office a bit more! This would be right down my street – what a fun way to keep fit ! Just the job peddle power for two, yes please. Cycling is a great way to get fit, and see the countryside at the same time. Perfect for me and my husband to get fit this year! yes please – i need a new bike! and so does the mrs! Would love to restart cycling after many years. I visualize myself in the country parks on that bike already. What a great way to keep fit in our retirement. I love cycling but had to give my bike away. The handle bars were too low and made my hands and wrists very painful, as I’ve got rheumatoid arthritis. These bikes would be perfect for me, less pressure on my wrists. That looks like fun. Our daughter has a tandem and would love some new bikes. Please pick my entry! Perfect prize, we would enjoy the bike ride of our lives on a Mango Bike! Great bikes. Really need the incentive to get healthier, and cycling could be the answer. Perfect prize for someone who needs to get moving. Haven’t ridden a bike since I broke my leg as a child falling off one !! 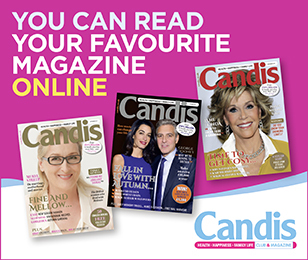 Colourful And New Design Is Sensational (CANDIS)! I would look like Audrey Hepburn on this bike! A bit, maybe. We have a beautiful wooded cycle country path right outside our from door and this would be absolutely lovely to ride and take in the scenery along the way.. I haven’t had a bike since I was a kid. My hubby and kids love to ride their bikes and I really want to join in. This would be amazing! This prize would be ideal for my husband and I. As we are both retired it would encourage us to take up more exercise. These would be great to help me and my husband lose the ‘baby weight we both appear to have acquired!! Retro and perfect what a wonderful prize! Magnificent And Nostalgic Getting Outdoors. share with care has just been introduced on the seafront, I reckon I would love riding along in the summer with everyone envious. Great prize – Good luck everyone! we could get out on the prom, and round the coastal ride, oh yes, feel the wind in your hair! It would be fantastic to ride these bicycles made for two. We have a marvellous mile long promenade at Weston Super Mare and I would love to go cycling with my hubbie. Absolutely gorgeous, perfect for me and the Mr.
just what i need to get me fitter this year! Retired ‘not us’ bring out the bikes! That looks like a tasty pair of wheels! would help me loose some weight. Bikes are the best way to get around. They’re eco friendly, good exercise and fun to be on. Smashing prize. Would love to win these. I can’t see the question! However, I would love to ride the women bike in my job as a midwife, think ‘Call the Midwife” and on our days off together we can ride along the thames with the river breeze flowing through our hair! This would be a great way of getting fit with my hubby!